There's been much debate on the proper method to eating sushi. Getting your sushi into soy sauce can be difficult for the inexperienced, whether using chopsticks or even one's bare hands. However, it looks like a third option just presented itself for sushi lovers. 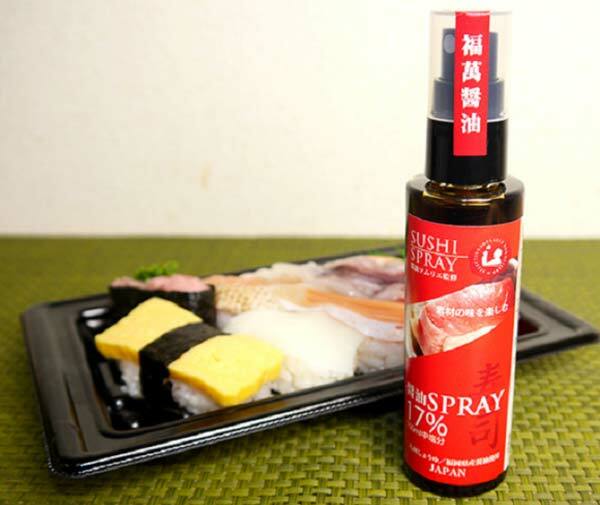 Hukuman Soy Sauce has developed a Sushi Spray that does pretty much what you think it does. 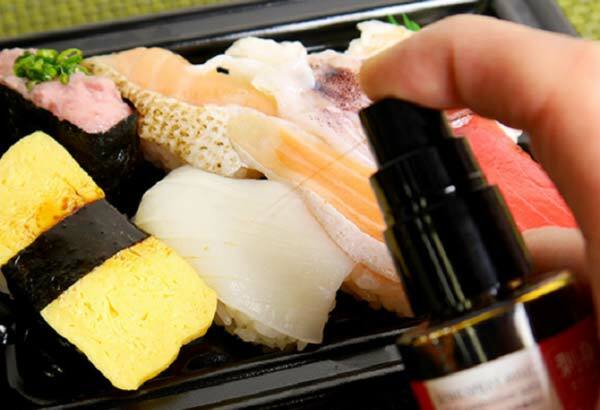 You can simply remove the cap and instantly spray soy sauce onto your sushi. No splash damage, no fuss. The company has been known for getting creative with their soy sauce products, even going as far as mixing it with yogurt and developing a flavor for domesticated pets. However, this time they're not touching the sauce recipe. Rather, they're changing the bottle from a storage unit to a full-on delivery service. We're not sure how many people are willing to carry a bottle of soy sauce with them for such an occasion, but it's a novel gift nonetheless. The bottle can be purchased through the Hukuman website. Now get on that wasabi and ginger spray.